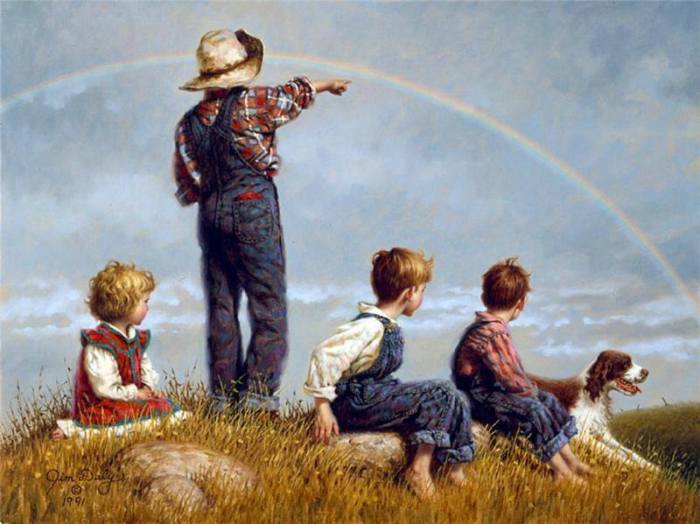 Jim Daly @- artist originally from Oklahoma (USA). From childhood felt that I would be an artist. 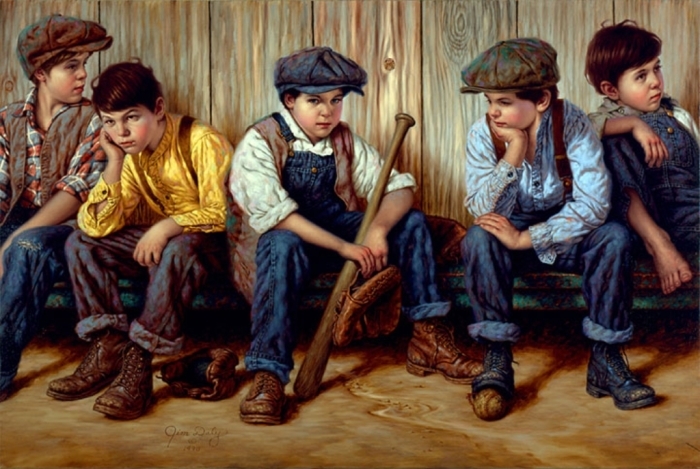 When he began to draw his inspiration was Norman Rockwell. In 1959 he retired from the army, some time dedicated to work in the defense industry. And at night painted pictures. Jim graduated from Art College in Los-Анджелесе, where he taught art, and fully immersed in the painting. 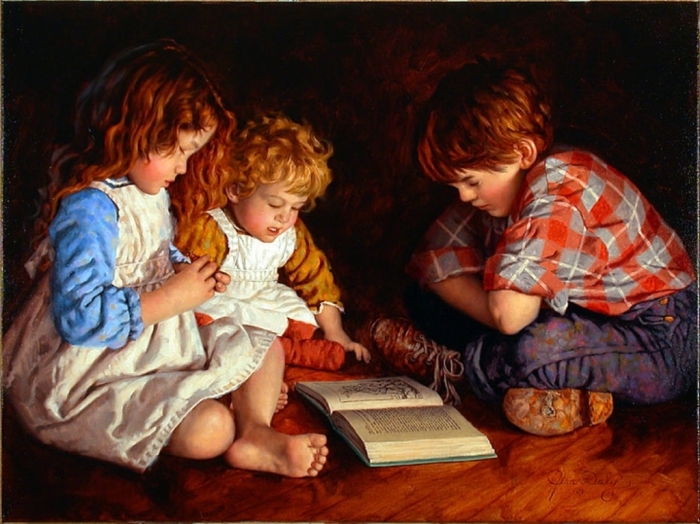 Four children Jim, along with his wife sometimes act as models for paintings. Jim is also in the Scottsdale school, tried himself in the role of a school teacher. 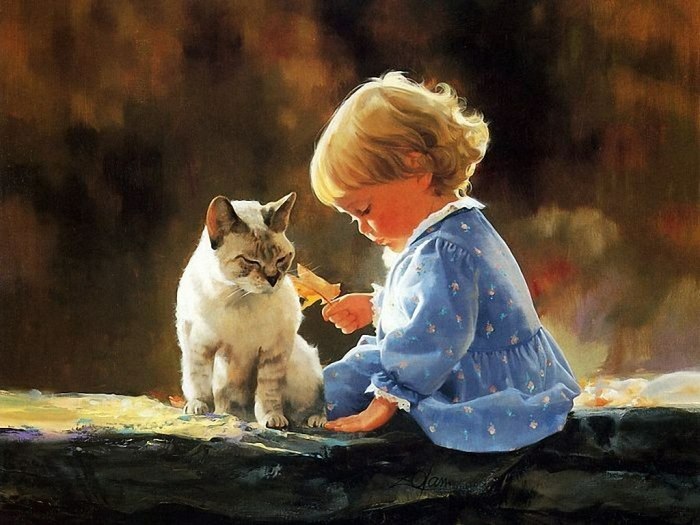 He is the author of illustrations for several books. 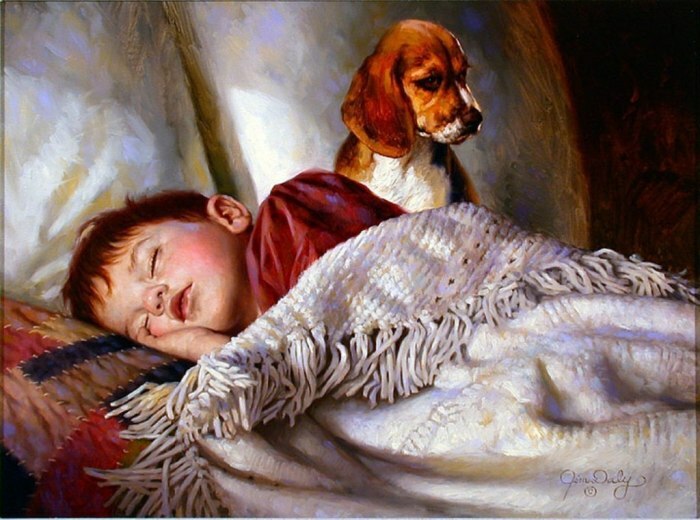 Now the artist resides in Oregon. 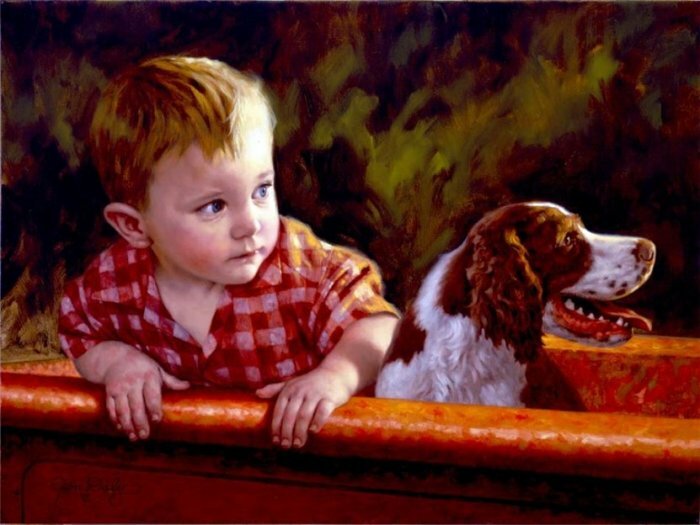 Using oil paints writes nostalgic pictures of childhood. 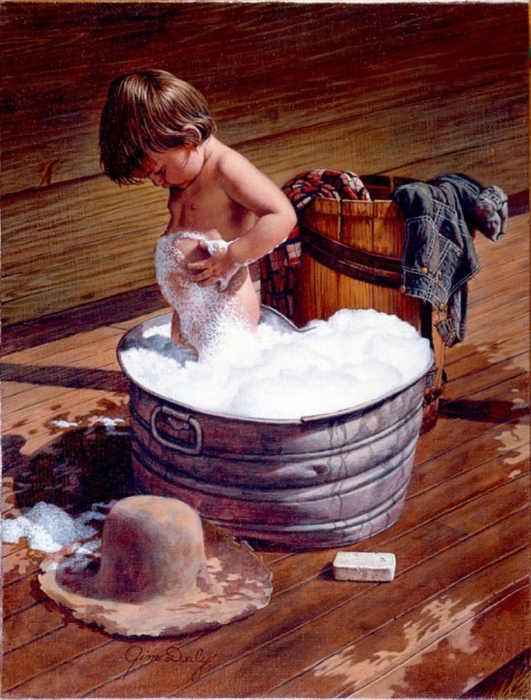 the Carefree childhood. 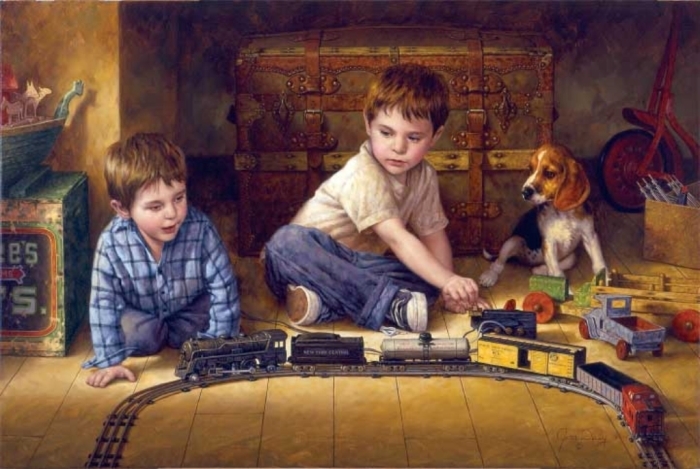 Author: Jim Daly. Chamomile field. 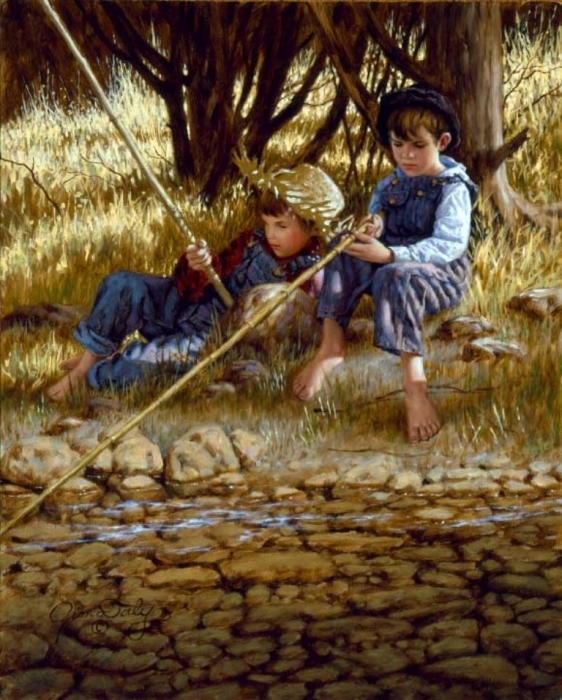 Author: Jim Daly. Loyal friend. 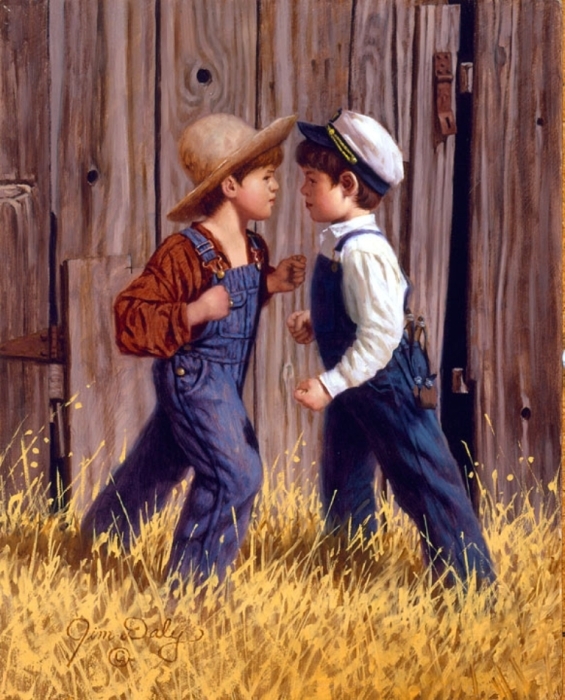 Author: Jim Daly. 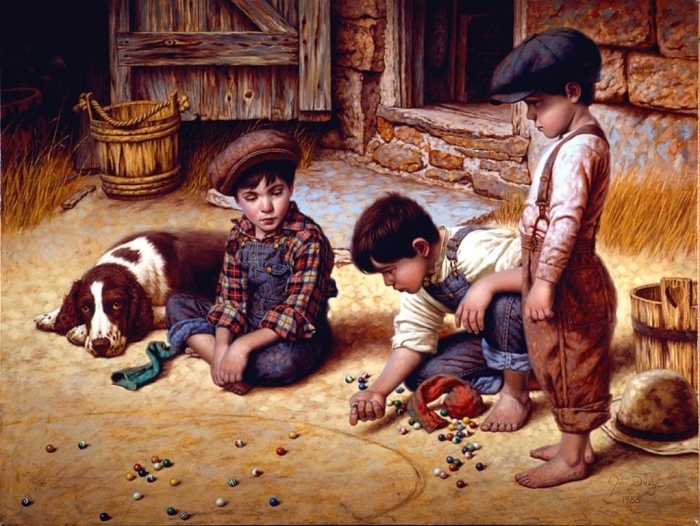 Game stones. 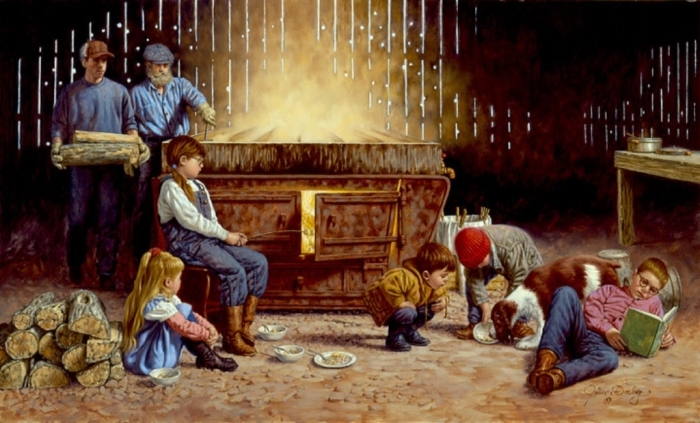 Author: Jim Daly. the little Yellow leaf. 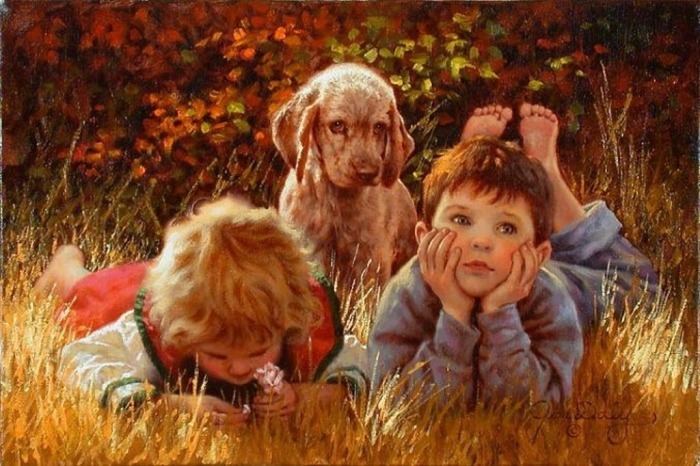 Author: Jim Daly. the Occasion. 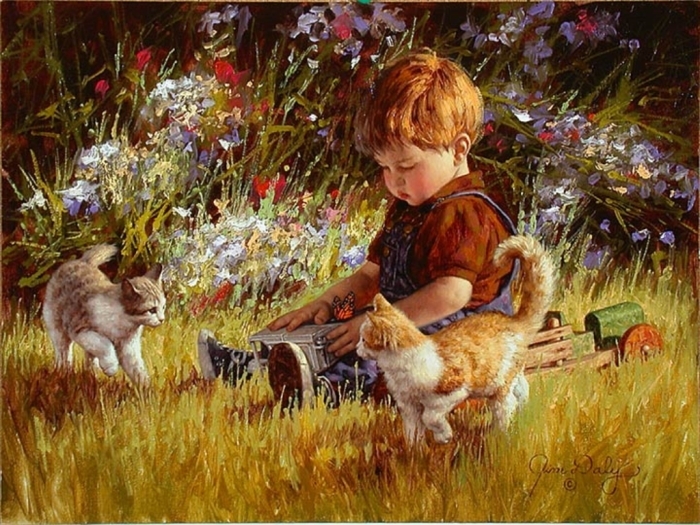 Author: Jim Daly. What else is there? 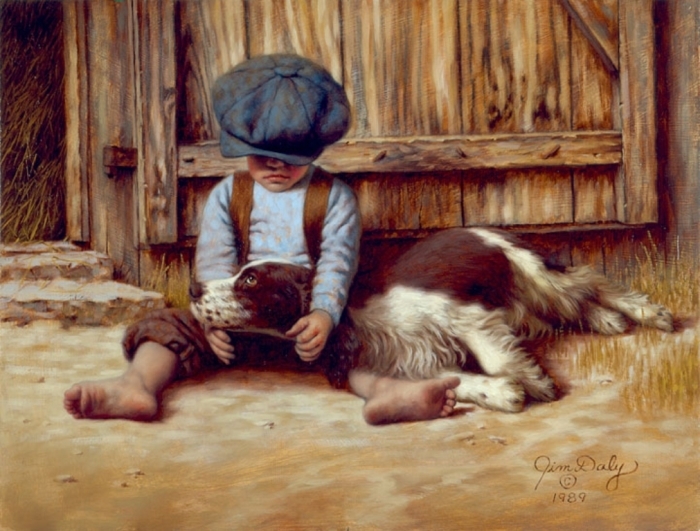 Author: Jim Daly. In the field. 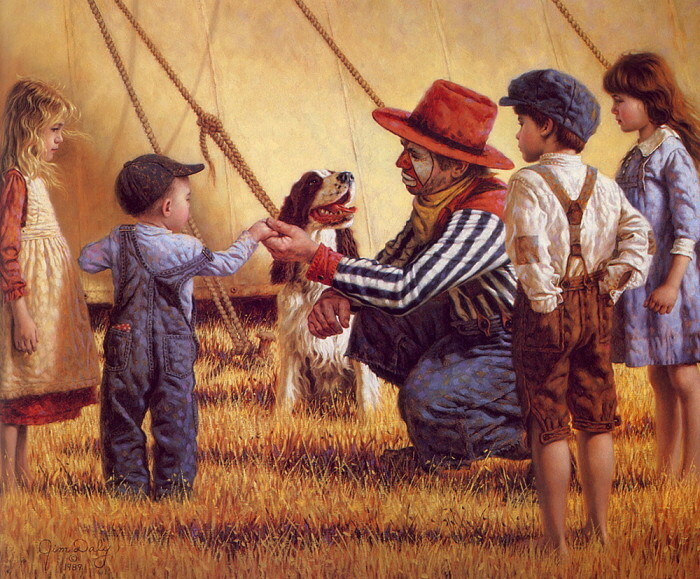 Author: Jim Daly. My faithful friend. 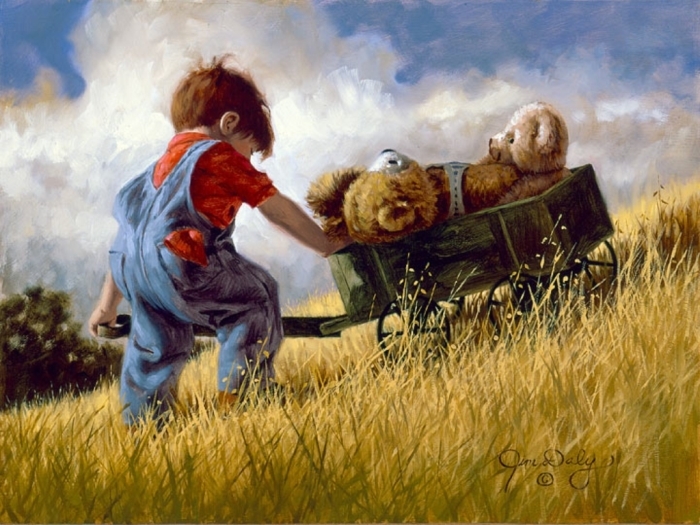 Author: Jim Daly. Near the furnace. 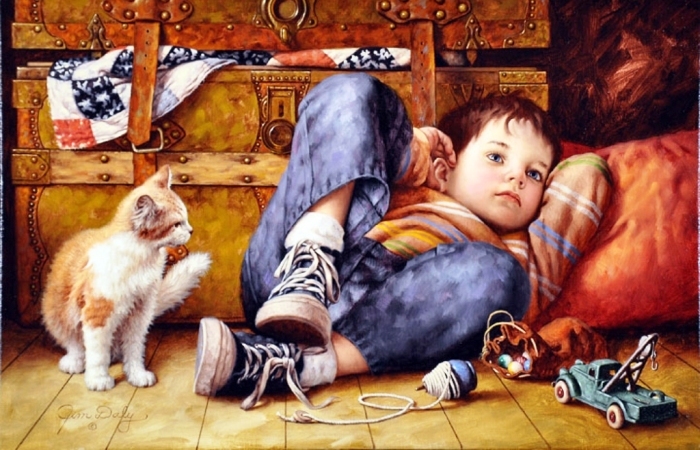 Author: Jim Daly. don"t Even think! 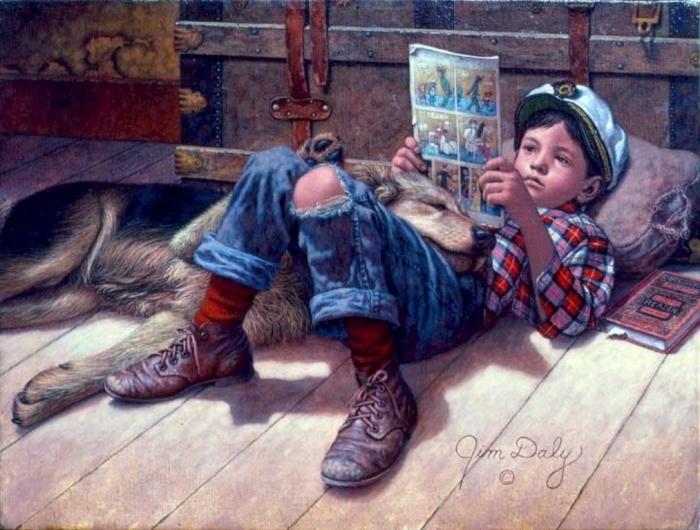 Author: Jim Daly.